Kepos is an open access journal based on the double-blind revision mechanism. The intellectual property of the published articles remains of the individual authors, who retain all rights to them. Publication charges or APC are not required for publication. 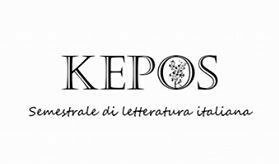 On this page, all Kepos numbers are available in PDF, EPUB and MOBI format, freely downloadable.